Every year around this time is Aki Matsuri, which is the Japanese fall harvest festival. There's a local festival not far from us, but it was too rainy to go. 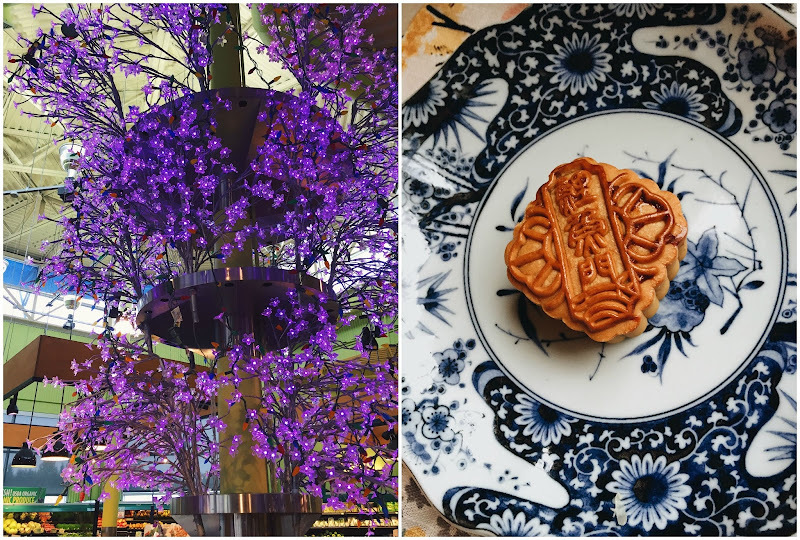 So we went to a grocery store that's also an Asian emporium and we picked up some paper lanterns for 49 cents each, and a mooncake - which is a sweetened dumpling/cookie sort of affair that has different flavors in the filling - we chose a jasmine tea flavored filling. There were big huge boxes of these mooncakes, with assorted fillings - some of the fanciest boxes sold for fifty dollars! Which is why we got ONE mooncake and cut it into three pieces. 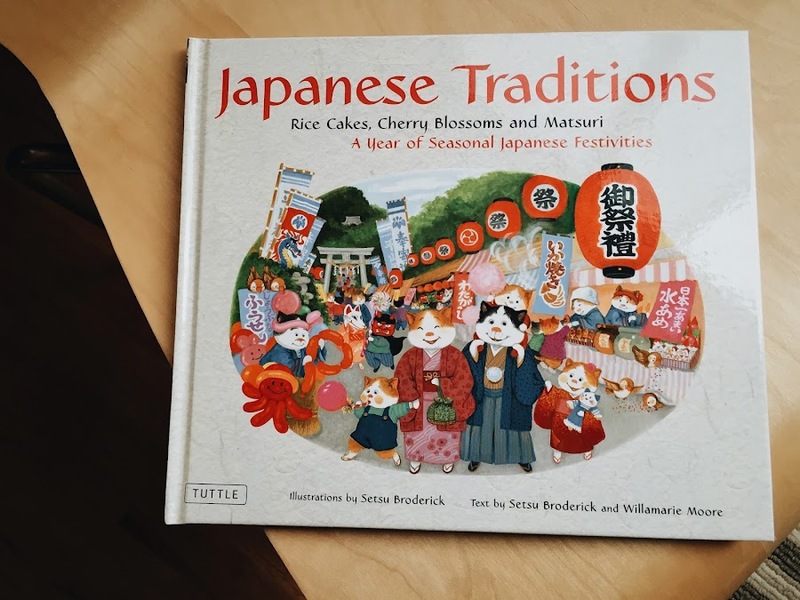 Julia pulled out a lovely book that we got when she was about five, I think, called 'Japanese Traditions - Rice Cakes, Cherry Blossoms and Matsuri - A Year of Seasonal Japanese Festivities'. That's quite a mouthful, eh? 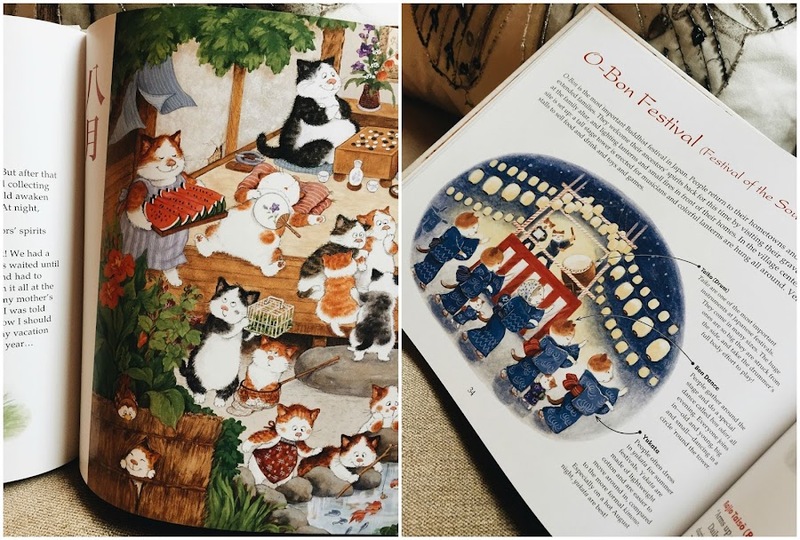 It's really adorable - the pictures all depict tons of darling cats and kittens, busily celebrating various Japanese holidays throughout the year. 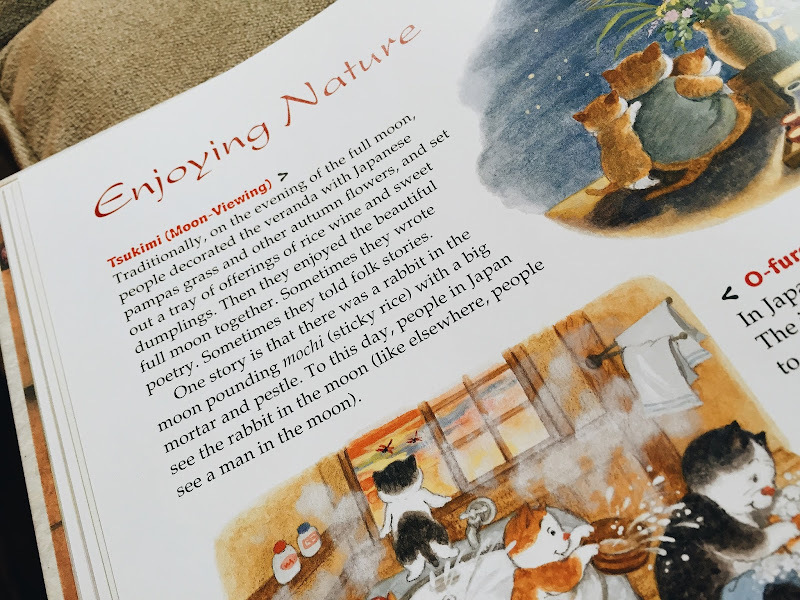 I LOVE books about holidays in other cultures, especially if they are Scandinavian or Japanese, because as I've mentioned before, my innermost self apparently longs to be some kind of Scandi-Asian hybrid with a dose of tea-drinking Brit thrown in for good measure. That picture of the paper lanterns makes me regret (just a little) that we live in the boondocks, far away from Asian markets and 49 cent paper lanterns. 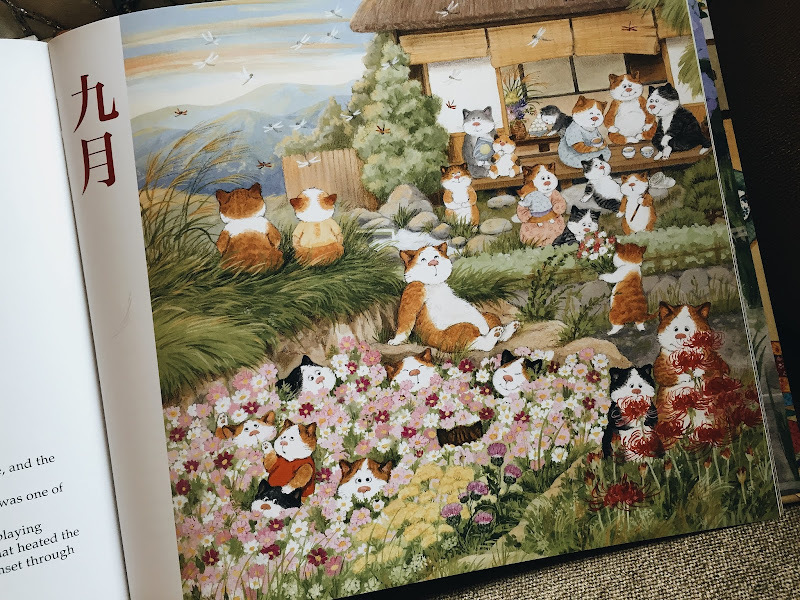 And I love the cats in those illustrations! Aren't the cats so cute? I feel fortunate to have access to both a British emporium, a Scandinavian grocery store and and Asian market all not-too-far from us. I don't get to any of those places very much, but even once a year or so is fun. Andrew squished one of the lanterns a bit and Julia was sad, and I was like - it's 49 cents! It's not that big of a deal! That book is so nice. 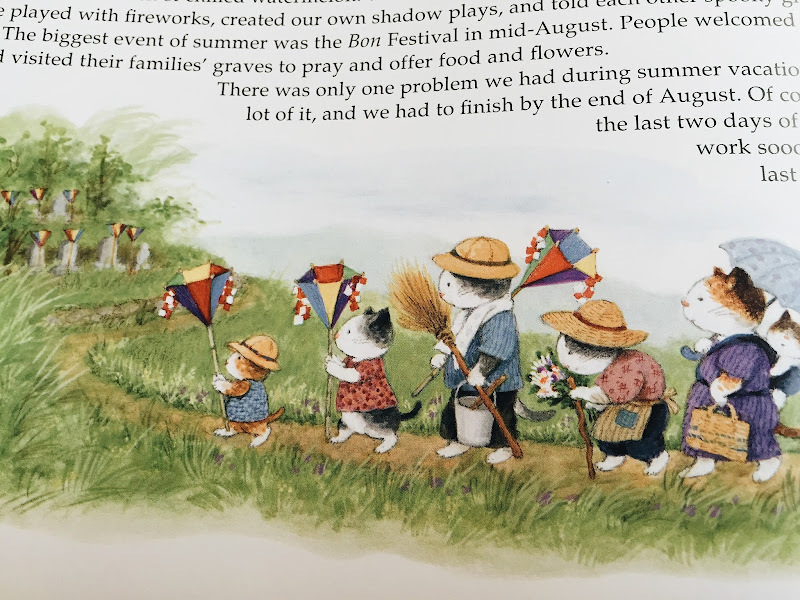 I really like the cats dressed up in their yukata :D This is such a fun festival, for kids and adults too! Your paper lanterns are so pretty. thank you!! aren't the lanterns fun? 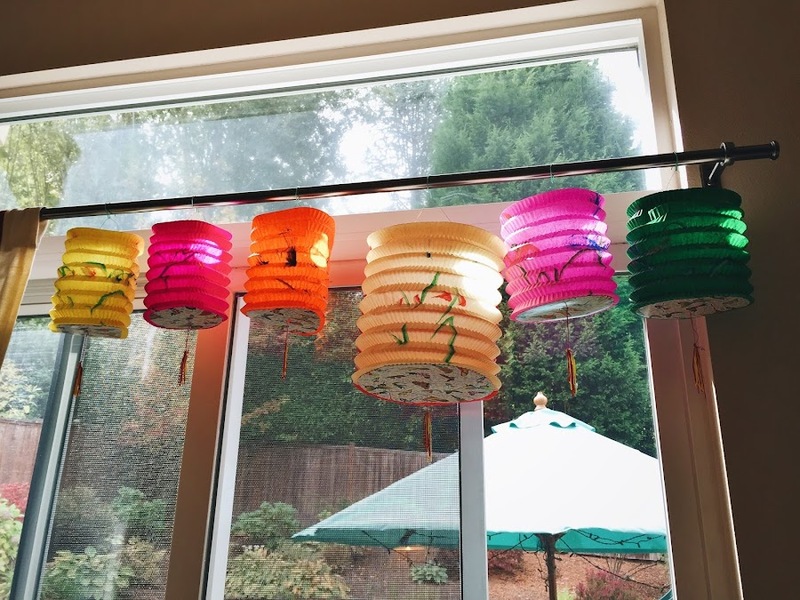 i love ANY kind of paper lantern! Ooh, Mexican folk art! Fun, fun, fun! 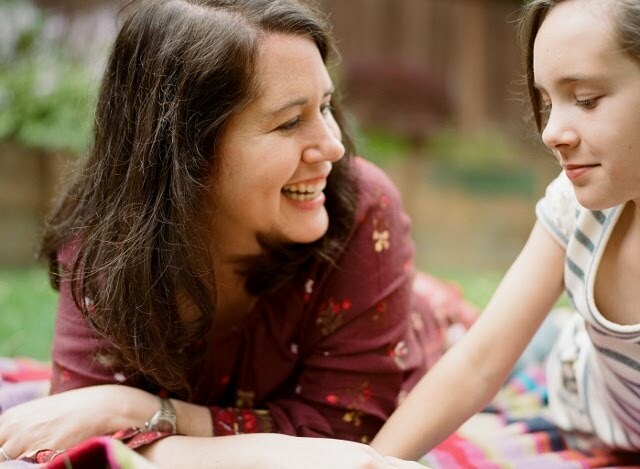 I love that you do cool things like this with your little fam. You're so very international! I wish we had a festival like this near us. Too cool. I know we have an all-encompassing Asian festival of some sort, but it's always some time when I can never go. This book looks darling. i wish we had a scandi festival like the one you guys have!! !